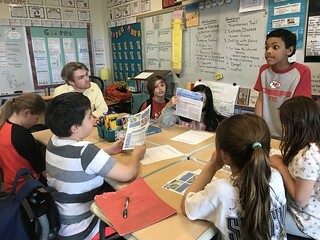 In the spring of 2019, Columbia Public Schools is collaborating with the University of Missouri and Missouri River Relief to offer 4th graders and teachers the opportunity to learn about the Missouri River ecosystem and the impact that humans have on the river. This will be done through an after-school program and teacher professional development called “Missouri River All-Stars After School Program" between the month of April-May 2019. 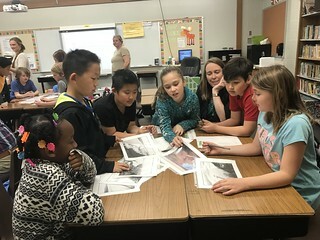 During the program, two teachers at each of the selected elementary schools will be supported to draw on their Missouri River All-Stars experience to develop NGSS aligned environmental science and engineering based lessons. They will then implement these lessons in their own classrooms. These lessons will be compiled in a curriculum pack that will be made available to other teachers. All members of the Missouri River All-Stars program are eligible to participate in an on-the-river experience. 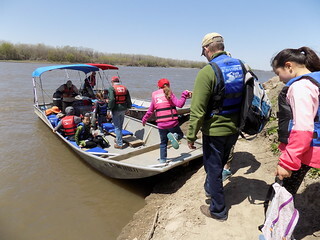 During this experience, students have the opportunity to go for a boat ride on the Missouri River to learn more about the recovery plan of the Pallid Sturgeon. Click here for photos from Missouri River All-Stars. Click here for a blog post from Missouri River All-Stars. Click here for photos of Missouri River All-Stars on the river. Click here for photos of Mo River All-Stars in the classroom. The Missouri River All-Stars is managed by Kristen. She is responsible for the planning, designing, and implementation of the Missouri River All-Stars. She had over nine years of experience in environmental education and a Master of Science in Natural Science Education fromTetonScience Schools Residential Graduate Program. In addition, she has been certified for over seven years as a Wilderness First Responder. 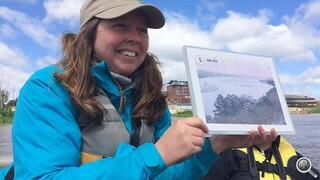 In her role at Missouri River Relief, she works to advance our mission of connecting people to the Missouri River with an emphasis on education. 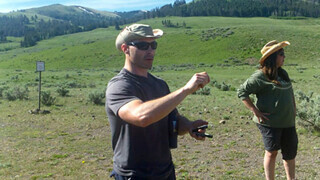 The Missouri River All-Stars unique research component is overseen by Ben. He is responsible for providing a research focus to the planning, designing, and implementation of the Missouri River All-Stars. He holds a Ph.D. in Science Education with a minor in Statistics from Iowa State University. He has an extensive background in science and science teaching with a B.S. in Animal Ecology, an M.S. in Wildlife Resources,anM.A.T.in Science Education and experience as a certified science teacher in Iowa and Florida. 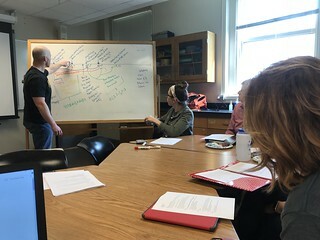 His research addresses how sociocultural factors and epistemological beliefs about science and technology impact socioscientific decision-making, particularly regarding environmental issues, and how science education can better prepare people to critically engage in those issues. The Missouri River All-Stars is instructed by Blake Romaker. He is responsible for delivering classroom lessons. Blake is a graduating senior from the University of Missouri with a degree in Secondary Education-Earth Sciences. 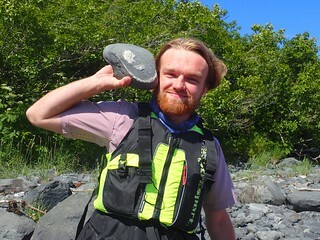 His passion for place-based education and connecting kids to nature started in Missouri and has brought him to Alaska and Northern Ontario. He has been a part of the Missouri River Relief crew for nearly 4 years, and also organizes stream cleanups as the leader of Sustain Mizzou's Stream Team. For any questions, e-mail or call 573.443.0292. Missouri River Relief is partnered with University of Missouri School of Education to conduct the research component to this program.